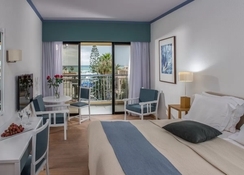 Basilica Holiday Resort makes for the ideal place to stay in Paphos if you’re looking for easy access to Paphos’s top attractions, restaurants, bars and conveniences. 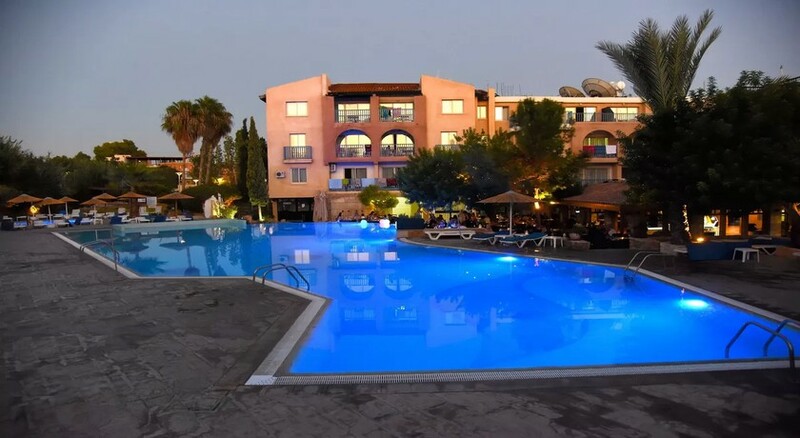 Situated less than a 30-minute ride from Paphos Airport, Basilica Holiday Resort is a top quality hotel with excellent facilities and services such as a freshwater swimming pool, restaurant, bar, babysitting services and activities for children. 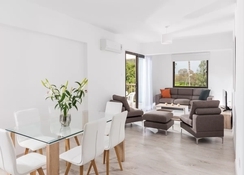 Accommodation here is spacious with well-appointed living areas and equipped with a kitchenette, which makes staying here comfortable and convenient. Dine in at the on-site restaurant or take your pick from Chinese, Italian, Mexican, Indian, seafood or classic Mediterranean dishes, all easily accessible on foot from Basilica Holiday Resort. Check out Paphos highlights such as the Archaeological Park and Medieval Castle, both just a few minutes walk away. There are also two water parks, museums and numerous beautiful beaches with water sports on offer. Basilica Holiday Resort can be reached from Paphos International Airport in less than 30 minutes, residing as it does just 16km from the airport. It occupies a central coastal location with immediate access to numerous fine restaurants that cater to tastes from around the world as well as local favourites. Several top historic attractions are just a few minutes walk such as Paphos Archaeological Park, Forty Columns Fortress and the House of Theseus and two excellent water parks are just a 10-minute drive. The main retail shopping centre, Kings Avenue Mall is less than a mile north whilst smaller shops, cafés and conveniences such as cash points are easily found. 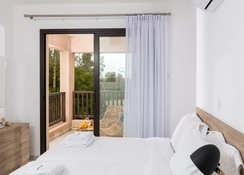 A room at Basilica Holiday Resort provides a balance between comfort, convenience and tasteful interior décor for a relaxing and enjoyable stay. Rooms and suites are equipped with essential amenities such as air-conditioning, tea and coffee making facilities, international electricity outlets, telephone, safe deposit box and more besides. They generally feature a double bed and sleep up to four guests. There are one, two and three-bedroom apartments which feature a fully-equipped kitchenette and private balcony. These spacious apartments are perfect for spreading out in and making a little home away from home. 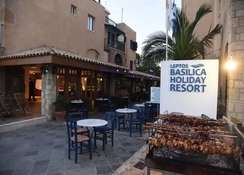 Basilica Holiday Resort has a traditional Cypriot Taverna that serves both international and local cuisine, so there’s a little something to suit everyone and caters throughout the day by serving breakfast, lunch and dinner. 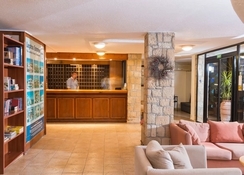 The taverna also has a bar with a fine selection of beers, wines and cocktails as well as refreshing non-alcoholic beverages. Away from Basilica Holiday Resort, you won’t have to venture far to find something delicious to eat, from familiar fare at Pizza Express to Chinese at Chloe’s Chinese Restaurant as well as classic Greek and Cypriot dishes at Georgia Meze and Gourmet Taverna, just some of the many places to wine and dine. 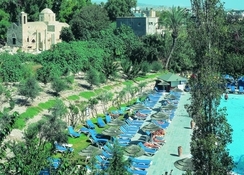 Guests can enjoy the swimming pool or grab a sun lounger and soak in the fine Cypriot sunshine on the terrace. Children will love having their own pool as well as a playground to keep active in. You may just want to chill out in the games room with pool and video games or let the Animation Team entertain you during the summer months with one of their daily activities suitable for all members of the family. Soak in a little cultural and history at the same time by visiting incredible sites such as the Archaeological Park and Mosaics and more just a short walk away. You can also enjoy two waterparks for wet and wild fun as well as Paphos Zoo.